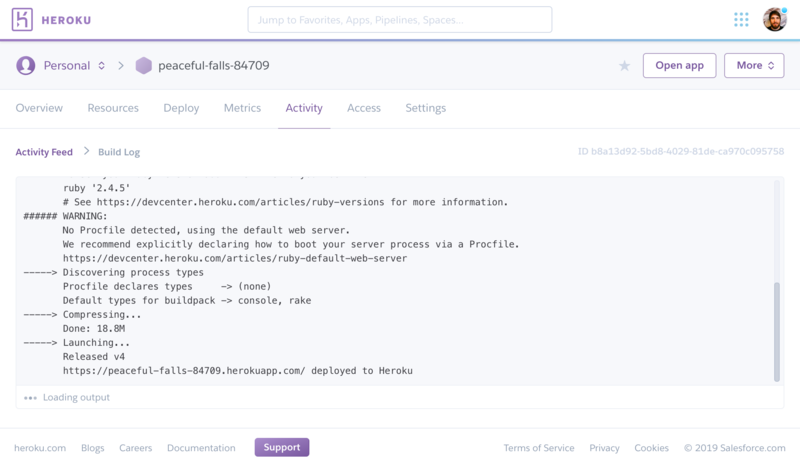 A Heroku app’s logs are aggregated from the output streams of all of its running processes, system components, and backing services. Heroku’s Logplex routes log streams from all of these diverse sources into a single channel, providing a foundation for comprehensive logging. Logplex is designed for collating and routing log messages, not for storage. It retains the most recent 1,500 lines of your consolidated logs, which expire after 1 week. 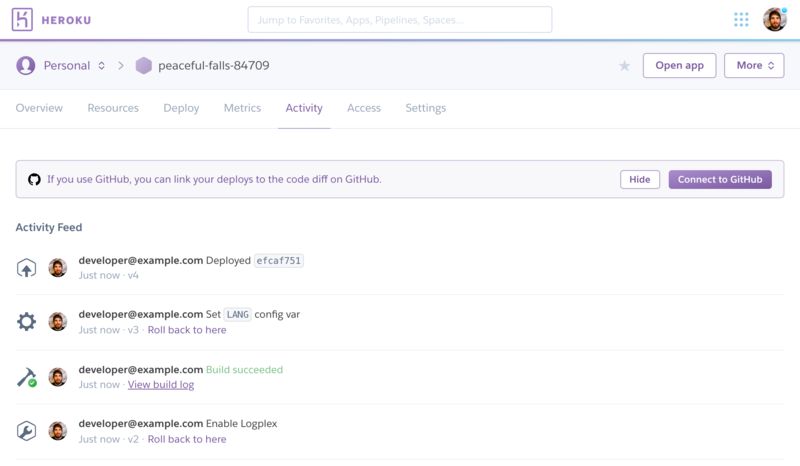 For more production-ready persistence of logs, you can add one of the Heroku platform’s available logging add-ons to your app. Most of these add-ons offer a free plan to get started. Alternatively, you can implement your own log drains for full control over what happens to your logs. Anything your app writes to standard out (stdout) or standard error (stderr) is captured into your logs. This means that you can log from anywhere in your application code with a simple output statement. The same holds true for all other languages supported by Heroku. Timestamp - The date and time recorded at the time the log line was produced by the dyno or component. The timestamp is in the format specified by RFC5424, and includes microsecond precision. Source - All of your app’s dynos (web dynos, background workers, cron) have the source, app. All of Heroku’s system components (HTTP router, dyno manager) have the source, heroku. Dyno - The name of the dyno or component that wrote the log line. For example, worker #3 appears as worker.3, and the Heroku HTTP router appears as router. Message - The content of the log line. Lines generated by dynos that exceed 10000 bytes are split into 10000 byte chunks without extra trailing newlines. Each chunk is submitted as a separate log line. In this example, the output includes log lines from one of the app’s web dynos, the Heroku HTTP router, and one of the app’s workers. The logs command retrieves 100 log lines by default. You can specify the number of log lines to retrieve (up to a maximum of 1,500 lines) by using the --num (or -n) option. Similar to tail -f, real-time tail displays recent logs and leaves the session open for real-time logs to stream in. By viewing a live stream of logs from your app, you can gain insight into the behavior of your live application and debug current problems. You can tail your logs using --tail (or -t). When you are done, press Ctrl+C to return to the prompt. A real-time tail session is automatically terminated after one hour of inactivity. When filtering by dyno, either the base name (e.g., --dyno web) or the full name (e.g., --dyno web.1) can be used. You can also combine the filtering switches with --tail to get a real-time stream of filtered output. When you retrieve logs, you might notice that they aren’t always in exact chronological order, especially when multiple components are involved. Logs originate from many sources (router nodes, dynos, etc.) and are assembled into a single log stream by Logplex. Logplex itself uses a distributed architecture to ensure high availability, meaning that log messages might be collected across multiple Logplex nodes and therefore be delivered out of order.